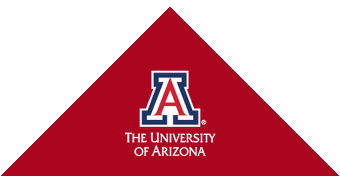 Thank you for considering how you may support Mel and Enid Zuckerman College of Public Health at the University of Arizona. Through your generous gifts, the work of our outstanding faculty and students will help ensure that the Mel and Enid Zuckerman College of Public Health accomplishes our mission of promoting the health of individuals and communities in the southwest and globally with a special emphasis on achieving health equity through excellence in education, research and service. As traditional funding sources continue to decline, the need for private support is greater than even before. Please know that each gift, large and small, is truly appreciated by our students and faculty. I invite you to explore the various ways to make a difference. You might consider funding a student scholarship, endowing a faculty chair, supporting a research center or purchasing new facilities or equipment. Wherever you direct your gift, you’ll be helping the Zuckerman College of Public Health make an impact on students, on the community, on the world. Please consider a gift every year to make a difference every day. If you would like more information about any of the giving opportunities described here, please contact me.